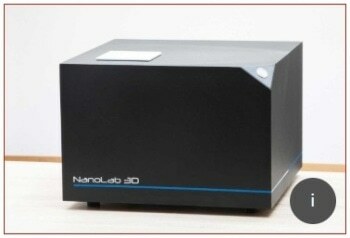 The NanoLab 3D is a compact analytical instrument for nano particle characterization that is based on Dynamic Light Scattering (DLS). 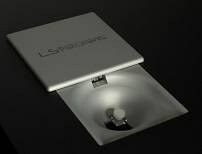 Because it uses the best detectors and one of the highest Laser powers (120 mW) available for DLS, it outperforms others specifically when measuring particles smaller than 50 nm. The NanoLab is also unmatched when measuring high particle concentrations, because the technology behind the NanoLab 3D is based on the ground-breaking 3D modulation technology, developed and patented by LSI. Through the incorporation of this technology, the NanoLab 3D is capable of efficiently suppressing multiple light scattering, thereby completely eliminating the need to dilute most samples.The NanoLab 3D thus avoids any potential error that may be caused by multiple scattering. As a result, it has been shown to reduce the occurrence of false particle size measurements significantly. 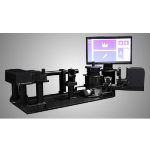 The 120 mW Laser of the NanoLab 3D improves the precision of measurements and thus makes it faster than any other DLS instrument on the market. Combined with the ergonomic sample chamber design, changing samples is a matter of seconds and high throughput is achieved. 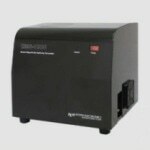 The NanoLab 3D therefore improves sample characterization for a wide range of particle concentrations and sizes while simultaneously saving customers a significant amount of time in the process. Despite the widespread use of the DLS technology in current scientific research, many users are often unaware that DLS measurements are not fail-safe. In fact, a recent survey conducted by LSI found that most DLS-users were making critical mistakes when using DLS technology and they were unaware of the magnitude of the error this was causing. 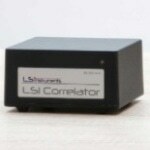 To avoid these unwanted complications, LSI has developed the LsLab Software. The LsLab Software is equipped with an intuitive interface that guides the user through a step-by-step process for each DLS measurement, all the while providing precise information regarding the validity of obtained results. In combination with the implemented modulated 3D technology, customers can have full confidence in the accuracy of their measurement results.